CrossFit for the Elderly: The Open, 14.1 | "Hey!" … "What?" … "What Did You Say?" I’ve been creaking through a year and a half of CrossFit now, sore and happy and hopefully a good deal more fit. I participated in last year’s CrossFit Games Open and survived (just) so when the time to register for this year’s Open rolled around, I smugly decided it was time for me to proselytize and get some more people at CrossFit Ulster to sign up. “You get to compare yourself to people in your age group from all over the world,” says I, knowing that this probably means a lot more to my “mature” self than to my generally much younger compatriots at CrossFit Ulster. “But suppose there’s something I can’t do? (yet –CrossFitters always nod sagely and say “yet”) queries an uncertain prospective participant. For example, the third workout last year began with 150 wallballs, followed by a large number of double unders and another large number of muscle ups. In 12 minutes. The reason I don’t remember how many double unders and muscle ups were required was that this was clearly not going to be an issue for me. I ultimately got 17 wallballs in the 12 minutes. But, by God, I got to enter a score. So, after convincing a few that good times were to be had for a mere $20 registration fee, we all sat back and waited with bated breath for the announcement of what the first workout would consist of. It would be proclaimed on the CrossFit Games website, LIVE, at precisely 8 PM Eastern Time on Thursday, Feb. 27. At 8:00 I was excited. At 8:01 I was despondent. And furious. And depressed as hell. Because 14.1 was to be a 10 minute AMRAP (“as many reps as possible,” for those not in the cult) BEGINNING with 30 double unders , and then 15 ground to overheads with appropriately scaled weights. It starts with double unders? Are you kidding me? Arrgghhh! 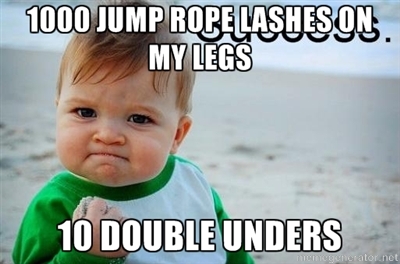 “Double under” refers to a jump rope passing below one’s feet twice per jump instead of the far easier and more civilized once. It is a sadistic difficult move requiring coordination, agility and stamina, none of which I possess. (yet) My son Chris, himself a coach at CrossFit Boomtown in Rochester, had given me a jump rope with festive red handles as a Christmas gift a year ago. Said jump rope nestled in its spot in the back seat of my car until it was required in a WOD, at which point I brought it in and mentally turned however many double unders were required into twice that number of single unders. And then I merrily singled away. Still good cardio, right? But not much help now. By Friday morning, Chris had rallied to my assistance with a great video from “AgainFaster,” which focused on achieving that first double under, after which things would fall into place much more easily. This was true, up to a point. I watched the 8 minute video many times, listening to the advice and scrutinizing the young man’s every movement so intently that I felt like a web stalker. How did he do that? 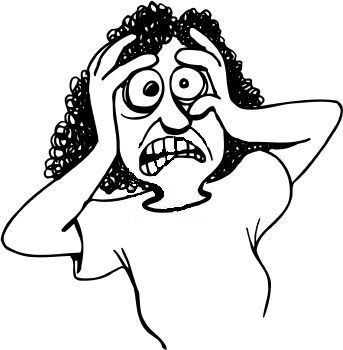 Let me watch it one more time…. Soon it was time to try it on my own, in the privacy of my den, in close (but not too close) proximity to the computer for quick consultation. The complexity of the tangles one little jump rope can contort itself into after only a few trips over my not very tall body is astonishing. Even my single unders were wavering. But after thumping away for quite some time, driving the terrified cats to the other end of the house, I heard that magical “whish whish” sound and realized I had done it. Once. I shrieked, and tried again, but that second “once” was a maddeningly long time in coming. But it arrived, and soon it was time to leave for the box and face my moment of truth. In addition to the regular class going on, a few of us were there for 14.1 and my young friend Aly, another double under rookie, and I practiced side by side with not too much success until our coach was ready. Aly opted for a few more days practice time, but I gritted my teeth and hoped for the best as Coach Sean started the 10 minute clock. Many times the rope found itself in that creative tangle, and many times I looked at Sean hopefully as he sadly shook his head and indicated yet another “no rep” and I muttered something unprintable. But 11 times he said yes. I had a score. Yeah, and I got 11! 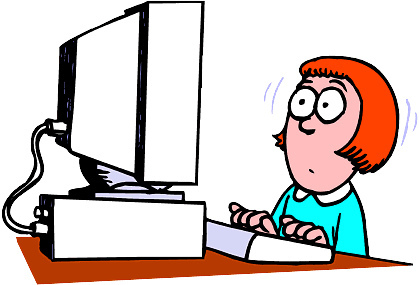 so I retreated to my den and my computer, and determined to try again Saturday. On Saturday, everyone was there for 14.1, and the supportive spirit of CrossFit was very much in evidence. Shawn, a young man I had just met recently, saw me achieve one of my lonesome double unders and slapped me five, saying “good one.” Injection of much needed confidence. Nick and Coach Tom took time from their own practice routines to watch me and give me pointers, again another shot of confidence. Everyone without exception encouraging and rooting for everyone else. When it was time for my second attempt, I even got the barbell ready in case I got my 30 double unders and could proceed to the next stage. My judge was Coach Laura, Tom’s wife. I could tell she was unhappy (for me) at the multitude of no-reps, but her smile whenever I got one made up for it. And I got 28. Not enough to get to the barbell, but I am happy. At least, until next Thursday at 8 pm, when 14.2 is announced. I can’t wait. I have retired from being a mom of 2 little boys (though never from being their mom) and a teacher of multitudes of little people. Now I have lots of time (but somehow, not enough - why is that?) to shamelessly wallow in my previously underutilized passions - reading, writing, and Anglophilia. And somehow, a new interest has insidiously crept in - Crossfit. Crossfit is a wonderfully all-encompassing system of physical fitness allowing me to blame all my numerous aches and pains on it rather than old age. I like it very much, but then I have always been a little odd. This entry was posted in CrossFit, Humor and tagged Aging, CrossFit, CrossFit Boomtown, CrossFit Games, CrossFit Ulster, Humor, Physical exercise. Bookmark the permalink. I’m impressed that you can do doubleunders. WhenI was a kid I was always getting tangled up in the rope trying to do singles. This is awesome! Those pesky double-unders…. and as someone who got to be there to do 14.1 at the same time as you, I am VERY proud of you! What an improvement…. and what a great blog. have you thought about virtual double-unders? no rope,no tangles… But hey, good for you!